A psa file extension is related to the Unreal Engine and used for its skeletal animations. What is psa file? How to open psa files? The psa file extension is associated with various computer games, such as Unreal, Unreal Tournament, etc. based on the Unreal Engine. The psa file contains skeletal animation for 3D models. Unreal Development Kit is complete professional development environment for Unreal Engine 3 game engine. Unreal Tournament 3 is first person shooter multiplayer computer game. Player battles with other human players online, or against computer controlled bots in battle arenas. Unreal is 3D first person shooter for Microsoft Windows the first part of Unreal and Unreal Tournament series. Player takes role of Prisoner 849 that must survive on planet called Na Pali. Unreal II: The Awakening is the sequel to the original Unreal. It takes place in the same fictional universe, but the main player character and locations are different than those found in the first game. Unreal Tournament is legendary first person shooter multi-player computer game with head-to-head multiplayer deathmatches. It is also contains single player mode against computer controlled bots and story. Unreal Tournament 2003 is a multi-player first person shooter computer game. It is successor of original Unreal Tournament. Game is primary designed for multi-player battling. However single player mode against AI-bots is included. Unreal Tournament 2004, is a futuristic first-person shooter computer game developed by Epic Games and Digital Extremes. It is part of the Unreal series of games and is the sequel Unreal Tournament 2003 and the original Unreal Tournament. Use compatible tools to work with *.psa files. and possible program actions that can be done with the file: like open psa file, edit psa file, convert psa file, view psa file, play psa file etc. (if exist software for corresponding action in File-Extensions.org's database). Click on the tab below to simply browse between the application actions, to quickly get a list of recommended software, which is able to perform the specified software action, such as opening, editing or converting psa files. Programs supporting the exension psa on the main platforms Windows, Mac, Linux or mobile. 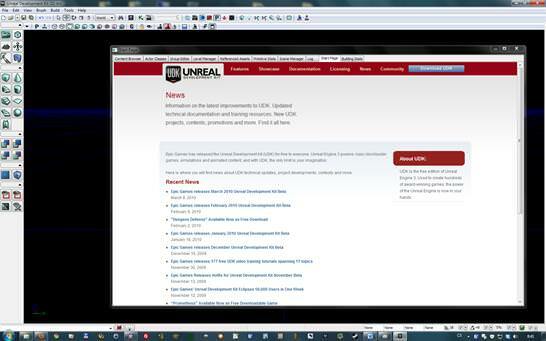 Click on the link to get more information about Unreal Development Kit for open psa file action. Programs supporting the exension psa on the main platforms Windows, Mac, Linux or mobile. Click on the link to get more information about Unreal Development Kit for edit psa file action. Programs supporting the exension psa on the main platforms Windows, Mac, Linux or mobile. Click on the link to get more information about Unreal Development Kit for create psa file action. Click on the software link for more information about Unreal Tournament 3. Unreal Tournament 3 uses psa file type for its internal purposes and/or also by different way than common edit or open file actions (eg. to install/execute/support an application itself, to store application or user data, configure program etc. ).